Sometimes collaborations are formed serendipitously, rather than by solicitation and design. This is such a case. Keely is currently commissioned to do the artwork and design for Kaaron Warren’s The Grief Hole, to be released in August 2016 – no small task as it involves 6 internal pieces and two covers (hardback and paperback). When Kaaron and the IFWG team saw the early pieces, many ‘rough’ and ‘optional’ as well as mood board illustrations, we starting thinking: we have many pages of wow art here, most of which will have little exposure to those interested in Kaaron’s novel. It didn’t take long for IFWG Publishing Australia to approach Keely (and Kaaron) to separately publish an art folio title, largely showcasing the art that contributed to The Grief Hole (and some), but also including notes by the artist, and a format that shows the way some of the final pieces came to be. Additionally, it will be presented with excerpts from The Grief Hole, to add a high level graphic representation of the novel. We are excited to announce that Keely Van Order has signed on with IFWG Publishing Australia to have this work produced (title still being determined), with a huge nod to Kaaron for allowing her novel to be depicted in a unique manner (and to access excerpts), as well as the highly respected artist, Nick Stathopoulos, who will provide the introduction. We are still determining a manageable schedule for this project, but we will certainly be offering preorder signed editions to those who preorder the signed editions of The Grief Hole. Ideally, we would love to have the book available at the same time as Kaaron’s launch. We will provide more information on this exciting, unique project through our social media outlets and this web site. 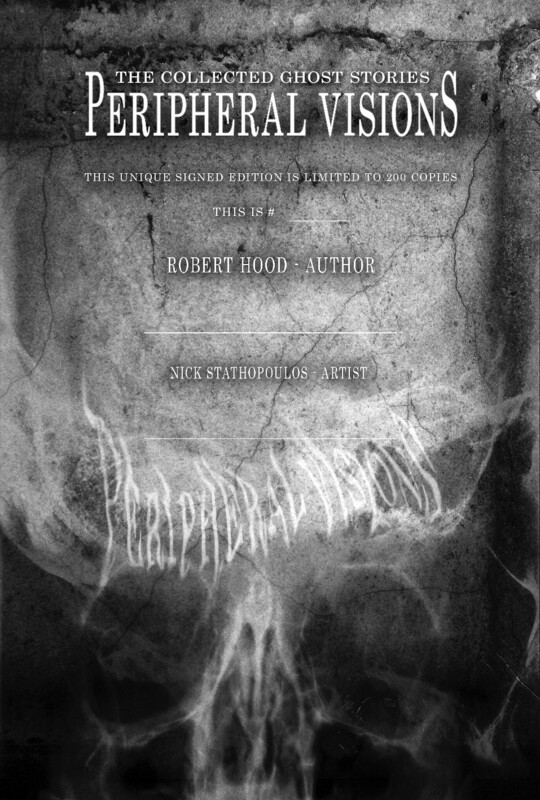 With the finalisation of the cover of Peripheral Visions: The Collected Ghost Stories Volume 2 (Robert Hood), we have completed our professional relationship with artist, Nick Stathopoulos. Nick handled the cover artwork and design for all editions of Peripheral Visions (hard cover and both trade paperback volumes), as well as the magnificent internal artwork for the the hardcover, and the signature page for the limited edition. It would be highly inappropriate for us to leave it at that. We need to say a few words about Nick’s contribution. Nick is a highly respected artist in Australia, and internationally, with multiple shortlisting in the Archibald Prize as well as the BP Portrait Award 2015 (good luck for the win, Nick!). It is an amazing boon for the speculative fiction industry that Nick has a love for the field, and has contributed his artist effort in book cover and poster designs. 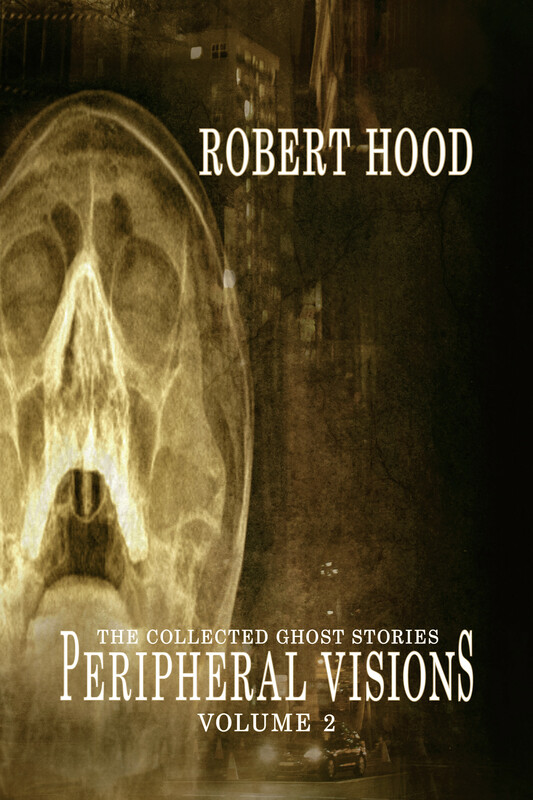 Nick was commissioned to contribute cover art and internal illustrations for the Peripheral Visions editions, initially via his friendship with author Robert Hood. However, this three-way relationship (Nick-Robert-IFWG) blossomed from the first meeting. Blossomed. It was a delight to be part of the roughly 5 month working collaboration, with no small part played by Nick Stathopoulos. A consummate professional, an amazing eye for detail, an uncanny eye for design, and someone who actually contributed to the originality of the product as a whole. It was only appropriate that his signature should be placed alongside Roberts, on the limited editions’ signature page. The hardcover (and more notably, the limited edition hardcover) is testament to Nick’s work. At Supanova (Melbourne) we sold out on the hardcover edition because anyone who saw it–felt it–couldn’t help but buy it in a fit of awe. It’s that good. So, it is with this sense of awe, and gratitude, that we acknowledge Nick’s achievement. Thank you Nick! and we sincerely hope that you take out First Place at the BP Portrait Award for 2015! 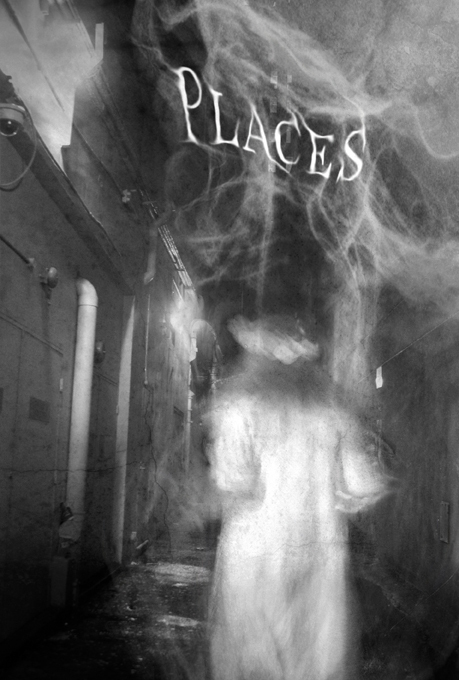 With pleasure we reveal the sixth (and last) sneak peek post related to Nick Stathopoulos’ collaboration with us for Robert Hood’s reference collection of ghost stories, Peripheral Visions. Sorry, we aren’t revealing the seventh illustration – the frontispiece, because those who are purchasing the hardcover need a surprise treat. And treat it is! For those of you who have just joined us, we decided to have an illustration for each of the six sections of the hardcover version, including the signed, limited edition, and they have turned out spectacular. We have been sharing them with the public over the last several weeks, and this is the last of them. 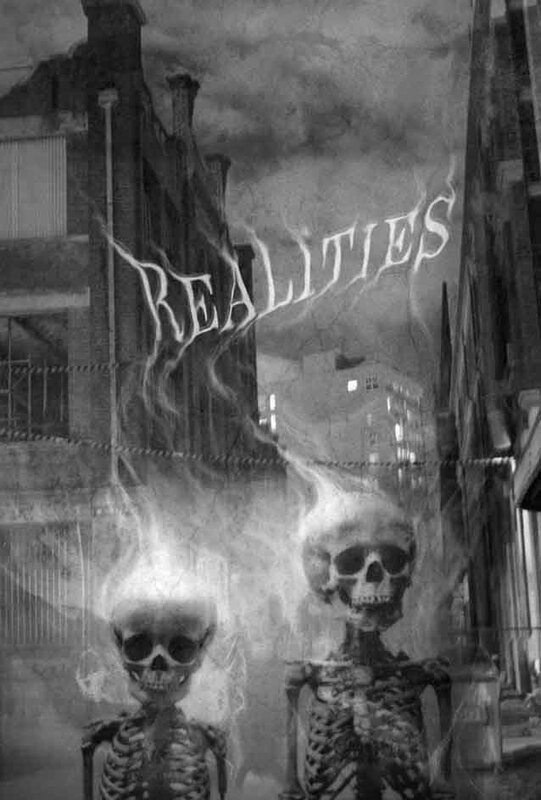 This illustration is for the section titled ‘Haunted Realities’. This is one of the more interesting sections of Robert Hood’s book because it catches the ghost tale within the context of a reality gone astray. The best way to get to see this, and all the other internal illustrations, is to own them in high resolution black and white format in the hardcover edition, coming out in April. If you pre-order now, you won’t be disappointed, as you will also get a heap of bonus material, including a Nick Stathopoulos designed signature block. The one-volume ebook edition will also contain these images. Stay tuned – soon we will announce a final bonus for limited edition buyers. For those who will be ordering the signed limited edition of Peripheral Visions, here’s a look at the page which will contain Robert Hood and Nick Stathopoulos’ signatures. Artwork and design by Nick. As usual, stupendous in artwork and design. 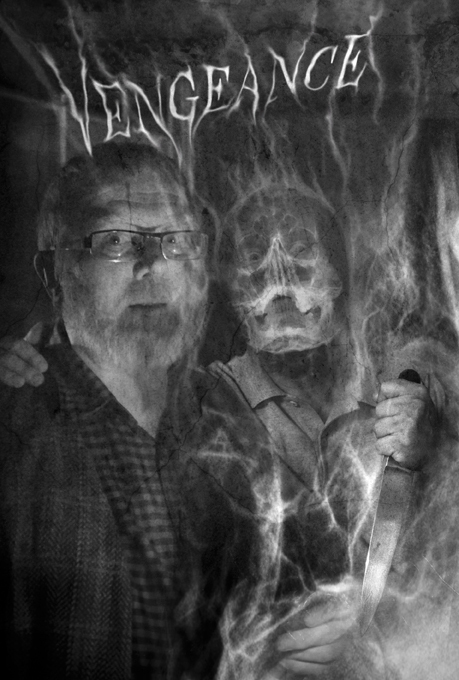 Again with pleasure we reveal the fifth (and second last) sneak peek post related to Nick Stathopoulos’ collaboration with us for Robert Hood’s reference collection of ghost stories, Peripheral Visions. For those of you who have just joined us, we have decided to have an illustration for each of the six sections of the hardcover version, including the signed, limited edition, and it is shaping up to be spectacular. We have been sharing them with the public over the last several weeks. The best way to get to see this, and all the other internal illustrations, is to own them in high resolution format in the hardcover edition, coming out in April. If you pre-order now, you won’t be disappointed, as you will also get a heap of bonus material, including a Nick Stathopoulos designed signature block. The one-volume ebook edition will also contain these images. Stay tuned – in about a week we will reveal the last of the section illustrations. It is with pleasure that we reveal the fourth sneak peek post related to Nick Stathopoulos’ collaboration with us for Robert Hood’s reference collection of ghost stories, Peripheral Visions. For those of you who have just joined us, we have decided to have an illustration for each of the six sections of the hardcover version, including the signed, limited edition, and it is shaping up to be spectacular. We must share them with you over coming weeks. The best way to get to see this, and all the other internal illustrations, is to own them in high resolution format in the hardcover edition, coming out in April. If you pre-order now, you won’t be disappointed, as you will also get a heap of bonus material, including a Nick Stathopoulos designed signature block. Stay tuned – over coming weeks we will show you the other, stunning illustrations.